The annual Geneva Motor Show got underway this week at the Palexpo convention centre in the Swiss city. Journalists and petrol heads from all the over the world are flocking to see the usual mix of new models, concepts and special editions. Toyota are displaying a range of vehicles and we are taking a look at what they are offering. The Supra name has been revived. 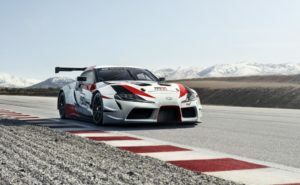 The GR Supra Racing Concept is being displayed in race spec and full Gazoo Racing livery. 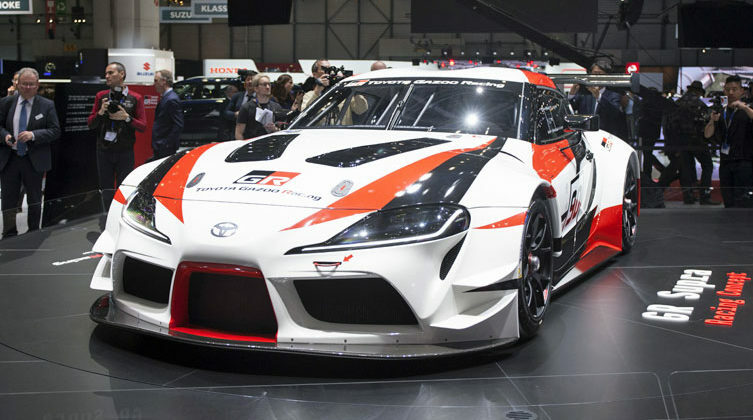 The Supra is a compact two-door car with a conventional front-engine/rear-wheel drive configuration. It also uses a ranges of lightweight materials. Premiering at the show is the third generation Auris. 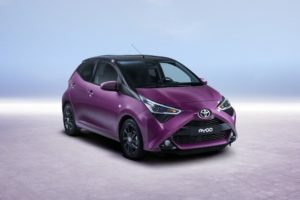 The new model will be built at Toyota Manufacturing UK’s Burnaston car factory with the majority of engines supplied from the TMUK plant in Deeside, North Wales. The Auris will be the first of Toyota’s European core models to adopt a new dual hybrid electric powertrain strategy, with a choice of 1.8-litre and new 2.0-litre full hybrid electric units available. The new 2.0-litre hybrid powertrain keeps the efficiency, smooth drive and quiet performance of the current 1.8 engine but features more power and a more dynamic, engaging driving experience. Toyota’s stylish city car, the AYGO has new look. The distinctive ‘X’ has been developed from the two dimensional element into a three dimensional architectural element. New wheels, colours, headlights and rear light units complete the restyle. In terms of performance, the 998cc engine has been enhanced, with lower co2 emissions and increased expected mpg figures. The car will meet Euro 6.2 emissions regulations. Geneva hosts the debut of a range of new concept cars from Toyota. The Concept-i series are a range of battery electric vehciles (BEVs) whilst the TOYOTA FINE-Comfort Ride vehicles are fuel cell electric vehicles (FCEV). 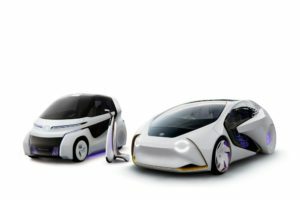 They demonstrate how new technology is being used by Toyota to increase personal mobility whilst accelerating Toyota’s programme of electrified vehicle development.